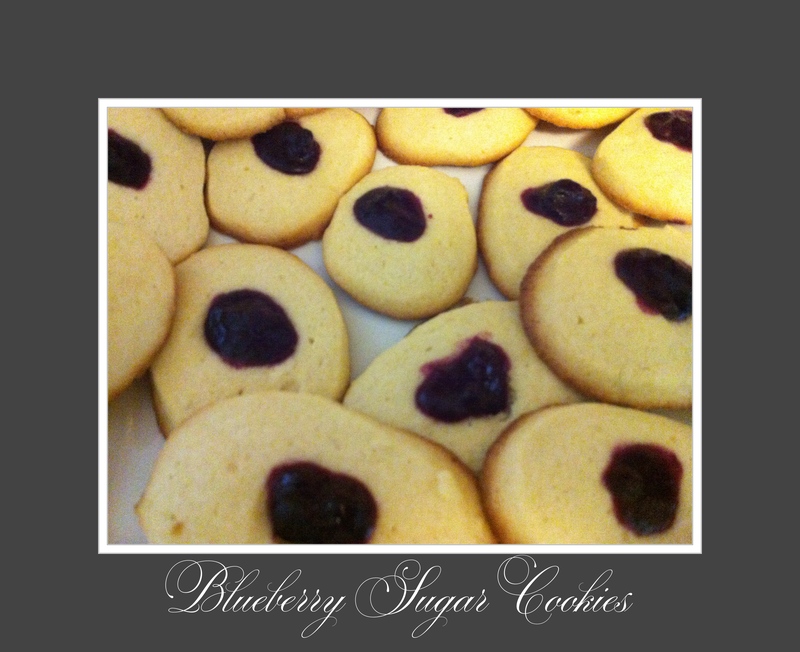 One of my favorite cookie recipes, The Blueberry Sugar Cookie yum! This is basiclly a sugar cookie recipe which you can use in a variety of ways. Here I chose a blueberry topping. I happen to have a jar of my blueberry sauce which I like to use as a topping for desserts, ice-cream and pancakes. This is a great go to cookie recipe when you don’t have a lot of time but want something simple but guest-worthy. The kiddies love it too! Mix dry ingredients: flour, baking powder and salt . In a separate bowl (or stand up mixer) mix butter and sugar then add egg to butter mixture and beat until fluffy. Mix in flour mixture then add milk and vanilla. You should have a sticky cookie dough now. Drop by teaspoonful on cookie sheet 2 inches apart. Using your forefinger make a small indent in the center of each cookie. Now fill each cookie with a small spoonful of blueberry sauce. I’ve also used a variety of jams and jellies too. Whatever you have on hand should work. Bake at 375°F for 10 to 20 minutes or just until cookies are lightly golden around bottom edges. Let cool and enjoy.